After FFG took over several European and Japanese machine tool manufacturers, FEELER has begun filling in his product gap by introducing new technologies, by internationalizing the Research & Development division and by carrying out projects to effectively integrate all resources within FFG, seizing the unique advantages of the extensive group and boosting his competitiveness in the market. The new product development strategy, that includes Taiwan's mid-market products, was made possible through mergers and acquisitions that allowed technology transfers from large manufacturers across Europe, Japan and other countries, synchronizing, upgrading and increasing the value of FEELER’s product range. Apart from developing new product technology and paving the way for cost-effective products to meet the market requests, in response to the high demand for Industry 4.0 automated production lines, FEELER developed the FSK 4.0 demo line and a PC-based, smart manufacturing, fully automated demo line that integrates the 5-Axis U-600 machine, to satisfy the need for different varieties of machining. The products greatly strengthen FEELER's R&D capability of planning automated machining lines. The FEELER 2017 product series trends toward high-end, high value, large size and complex machining. 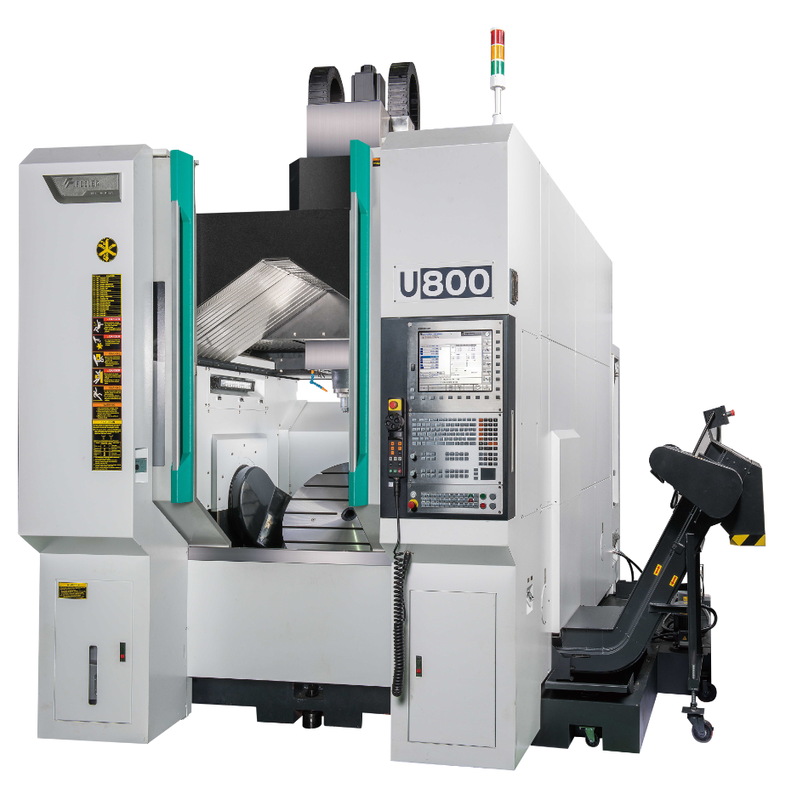 Following the enthusiastic response from the market for the introduction of the U-600 5-Axis Machining Center, with the intent to upgrade and optimize the product selection, FEELER developed the machines U-250, U-600P, U-800, U-1000 and U-800/U-1000, aiming for the aerospace market with high-speed, high-power and torque spindle configurations. The U-250, developed with the goal of expanding in the medical industry, was introduced this year into the market. Another achievement of the year was the introduction of the Double Column Machining Center SDM-II, supplemented by the application of a milling head, meeting the needs of the large-scale machining industry and of the aerospace industry besides opening up to completely new markets. As for the import of foreign OEM/ODM technology, the ventures are already officially launched. For instance, SIGMA's 5-Axis Machining Center OEM FLEXI 5 complemented FEELER’s 5-Axis product line and application technology and was successfully introduced into the market this year; SACHMAN's Universal Milling Machine OEM guided FEELER into creating additional milling head application technologies; the automotive lines of MAG USA induced FEELER's equipment to undergo continuous innovation, bringing major enhancements of the technical capabilities in the automotive market. Independent development of pivotal technology is FEELER's R&D focal point that, beyond allowing an increment in the value of the new products and in the market competitiveness, also strengthens the overall core value of the company. This year were successfully developed and commercialized technologies such as the smart chatter suppression system and the thermal compensation system (that prevent fluttering and heat deformation, respectively) or PC-based technologies. In the aftermath, FEELER plans to continue pushing forward the "robot-inside" automation equipment production, the 5-Axis online measurement technology and the studies to optimize the machines structure, in order to raise even higher the level of technological accomplishments.